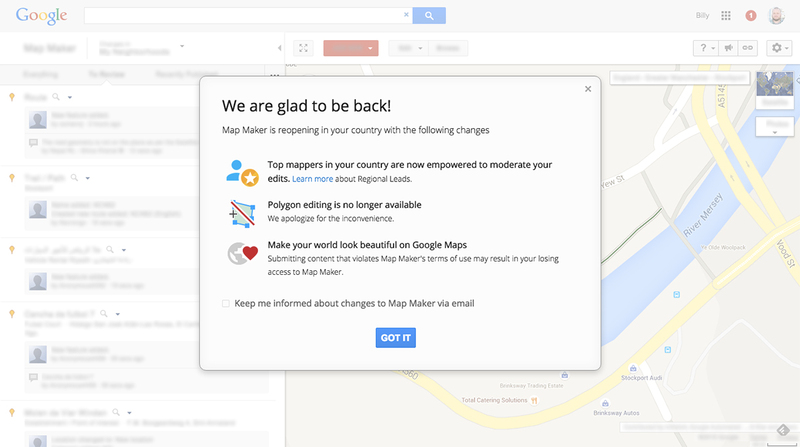 Google's Map Maker tool returned a few weeks ago after being shut down following an issue with digital vandalism. While it went live in six countries earlier this month, the US and UK weren't among the selected locales for the initial return. Map Maker is available in those areas once again, though, as well as over 40 other countries to bring the total tally to more than 50. As part of the re-opening, Google has a> in each country to keep an eye on things, looking to keep any would-be vandals at bay. To find out if Map Maker is available where you are, head over to the site and input your location.